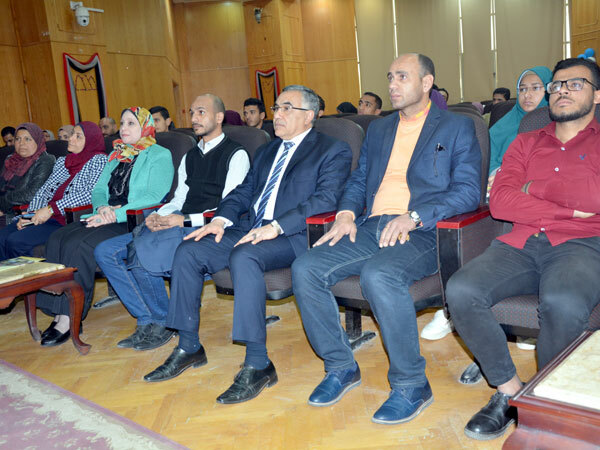 Under the patronage of Prof.
Dr. Walid Ali, the training coordinator at EKB; Ms. Mahinour Ali Okda and Mr. Ahmed Alaa El-din, the trainers at publishing houses, owners of the databases, delivered lectures in the course. In the presence of Dr. Wael Tobar, General Coordinator of Student Activities, and a number of faculty members, researchers and students, Prof. Khaled Attallah said that the university pays great attention to scientific research and seeks to provide all possible means to serve researchers and students. 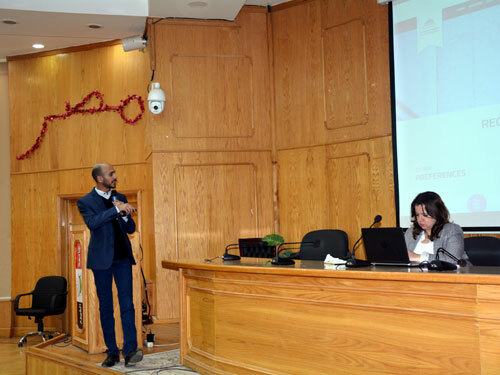 He also called upon the participants to register in the Egyptian Knowledge Bank to benefit from the free scientific and knowledge services available to all Egyptian people. Dr. Zeinab Abu Al-Khair explained that the goal of the training course is to publicize the services provided by the Egyptian Knowledge Bank, the available databases and how to register and search within the appropriate databases for each specialization to obtain information and develop solutions to the problems faced by some during registration. She added that the training course will continue for two days: the first day is devoted to the pure and applied sciences of the practical faculties such as the Faculty of Medicine, Dentistry, Engineering, Science and Agriculture; and the second day is dedicated to social sciences and humanities for the theoretical faculties such as the Faculty of Arts, Education, Dar Al-Ulum and Social Service. The trainers reviewed the importance of the Egyptian Knowledge Bank as a useful tool for obtaining information and providing researchers with new ideas in all sources of information in all disciplines, pointing out that the aim of creating the site is to make the scientific research resources available for all the Egyptian people, which were limited to academics and researchers. They also explained that the registration in the site is through the selection of one of four portals, according to the interests of each user, one of the most important is researchers' portal, which contains the largest scientific sources in which registration from universities is through academic e-mail. Furthermore, they reviewed the steps of registration, search and the use of different databases of the site.